Most businesses believe that market is all about your written voice, your social media posts and blog entries. But there is more to your voice than just what you write, it is also about what you actually have to say. But how do you talk to your customers, or people that aren’t your customers yet, if they aren’t in your business or calling you on the phone? There is plenty that you can do, in fact, to get your voice into the action when you are advertising your business and setting up your marketing plan. The internet has made it pretty easy, really. You don’t need to create commercials to go on the television any more. You can simply create your own videos and share them online, through social media or one of any of the many different video social sites, the most popular being YouTube. You don’t need a ton of experience, just the right software, in order to cut your own videos, whether it’s a commercial or a how to. Sure, you can rely strictly on your website and advertising options like Google Adwords, but it helps to use as many marketing options as possible to reach a wider audience. YouTube gives you the ability post your videos to a huge audience. You can also create photo collages and set them to music with YouTube. Their features are updating often, and the option to embed your videos on websites and blogs is a great benefit. Once you have created your videos, no matter what you use, you can share them on your social media sites. With any luck your videos and slide shows will go viral. 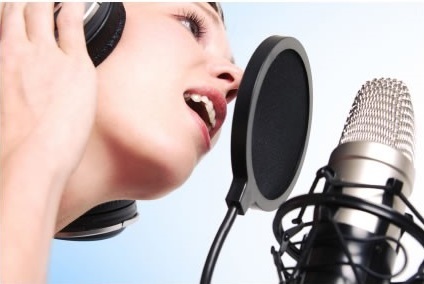 Creating podcasts for your company is like creating a radio show that airs online. You can do interviews, read pieces of your work, create commercials, or even sing a tune, it’s up to you. Podcasts, like social media, help you engage your customers, which keeps them interested. One more way to use your voice without the written word on the online world is through things like Skype and Google Hangouts. These give you the options to chat, kind of like being on the phone, with groups or individuals, and you can even use a video option so that you can see each other during your conversation. It’s a good way to get to know your remote employees and even your most important clients. Plus, it works through the internet so there are no phone charges. You need to utilize every online outlet there is if you really want to reach the most customers. That means using your voice, and sometimes even your face, to get the word out.